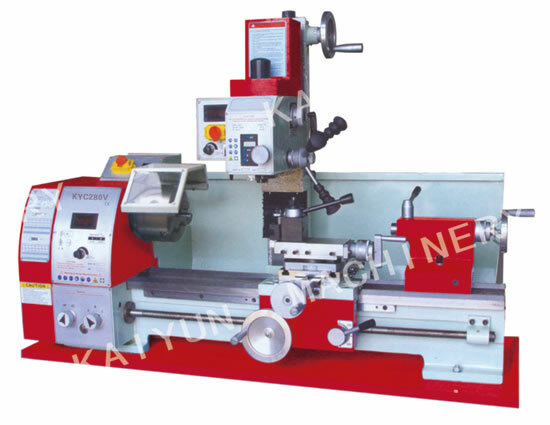 KY280V combination lathe is a kind of belt driven hobby lathe. It can be applied for cutting, knurling, drilling, sanding materials to create a new object. 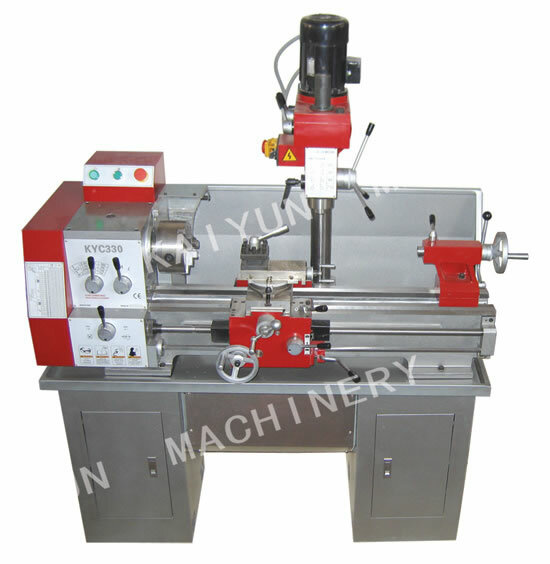 KYC330 combination lathe can be used to process materials into desired shape. Its main components include 1) the headstock, 2) bed, 3) feed and leadscrews, 4) carriage, 5) cross slide, 6) compound rest, 7) tool post, and 8) tailstock. KY400 combination lathe is a kind of machine tool mainly used for cutting, knurling, drilling or sanding materials to create a new object. Combination lathe is not only a lathe, it is also a milling machine and a drill press, so combination lathe is also known as 3-in-1 machine. 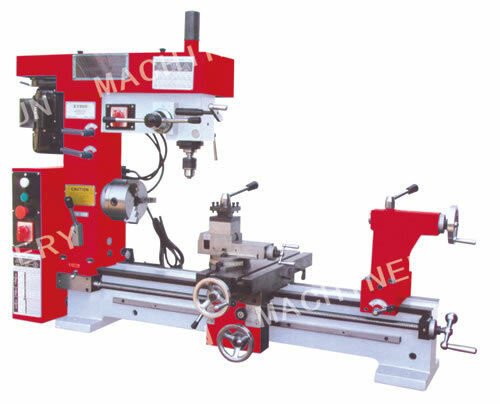 This machine tool is designed with a milling column which rises up above the lathe bed. The carriage and topslide are taken as the X and Y axes for the milling column. 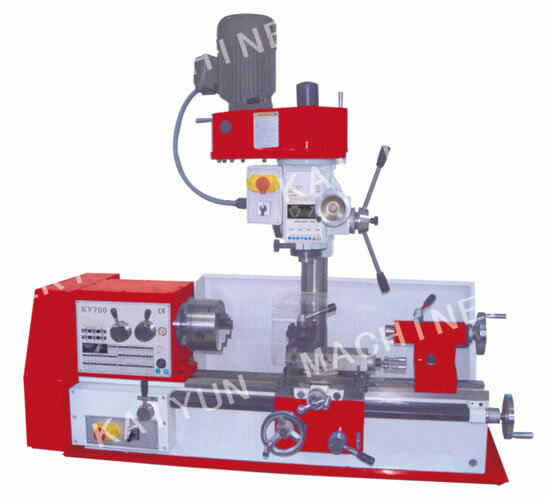 With the capacity of drilling and milling, combination lathes are suitable for various applications. They are especially applicable to hobbyists and MRO markets because combination lathes can be designed according to their requirements on sizes, features, rigidity and precision as well as prices. Besides, combination lathe is also applied in smaller, non-machine-oriented businesses to process small parts. It is especially suitable for the applications where exacting tolerances of expensive toolroom machines are vital to their usage from engineering perspective. 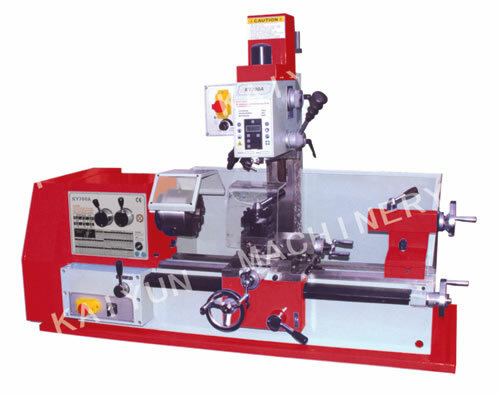 Kaiyun Machinery Company is a professional supplier of combination lathe. 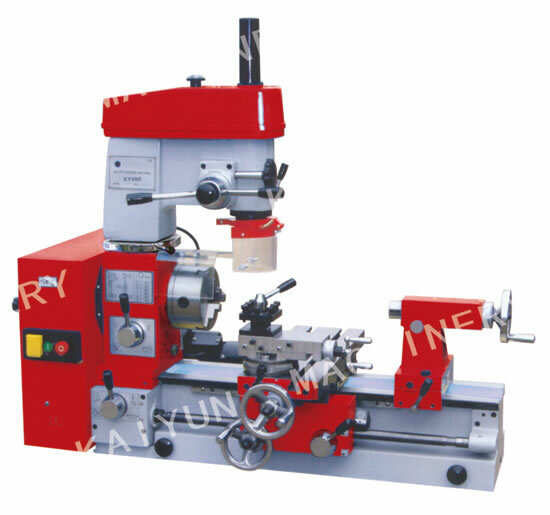 Various models of combination lathes are available to our numerous customers, such as KYC280V, KYC330, KY400, KYC280V, KY450, KY450A, KY500, etc. All our lathes are strictly selected from renowned manufacturers who operate with advanced technology and equipment, experienced designers and technicians, as well as qualified inspectors. Therefore, you can feel secure in using our 3 in 1 lathes, milling chucks and other products. If you have any problem or comments about our products, please contact us by email or phone directly.